Breast cancer is a disease predominantly affecting females and in the last decades the incidence rate rose. Nowadays, main risk factors, apart from genetic predisposition, include obesity, physical inactivity, hormone replacement therapy during menopause, and alcohol consumption. During the 1980s and 1990s, mammography screening has taken hold detecting many new cases. This technique takes advantage of low energy X-rays to examine breast tissues and early detect masses or microcalcifications, which are cancer’s ‘alarm bells’. Major issues in mammography concern the development of methods allowing a fast and clear interpretation of the collected screening images. A group of scientists (B. Mughal et al.) 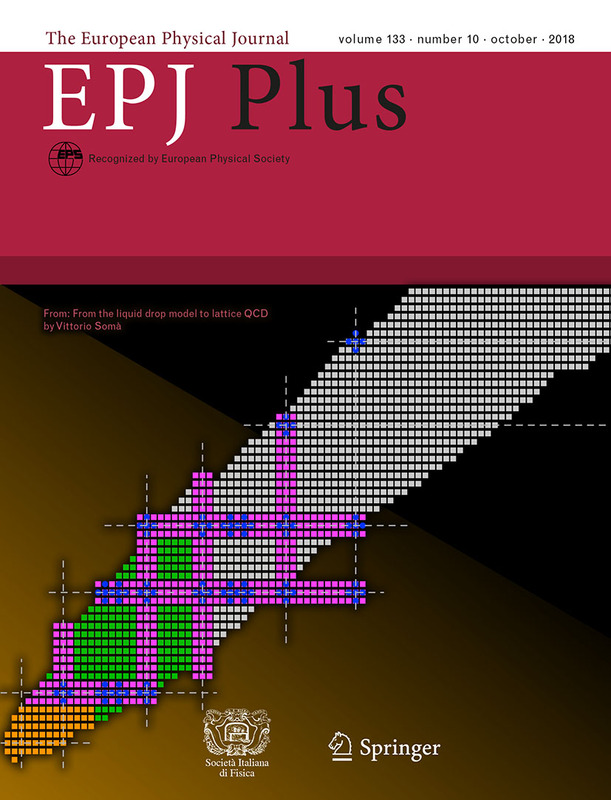 reports on the European Physical Journal Plus (EPJ Plus) a new technique to improve the screening images reconstruction in order to achieve high accuracy. 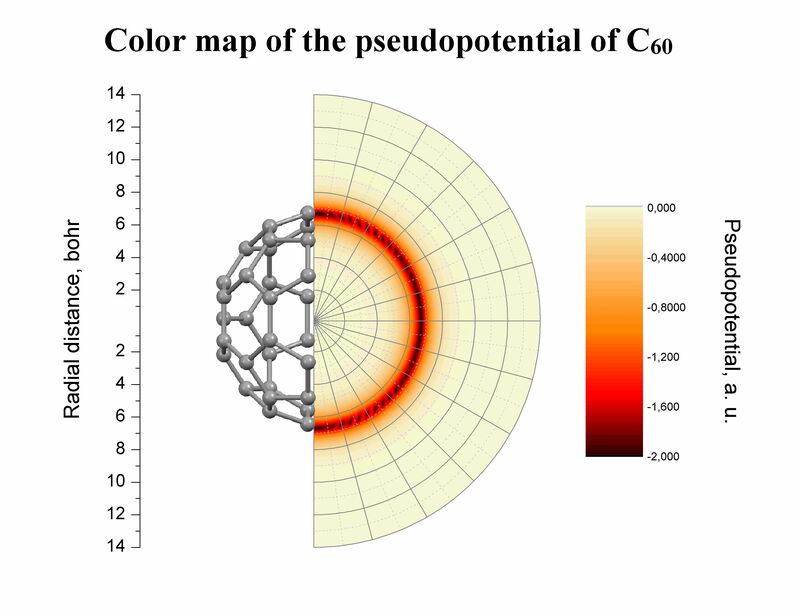 Color map of the pseudopotentials of C60. What in the smart nanomaterials world is widely available, highly symmetrical and inexpensive? Hollow carbon structures, shaped like a football, called fullerenes. Their applications range from artificial photosynthesis and nonlinear optics to the production of photoactive films and nanostructures. To make them even more flexible, fullerenes can be combined with added nanostructures. In a new study published in EPJ D, Kirill B. Agapev from ITMO University, St. Petersburg, Russia, and colleagues have developed a method that can be used for future simulations of fullerene complexes and thus help understand their characteristics. 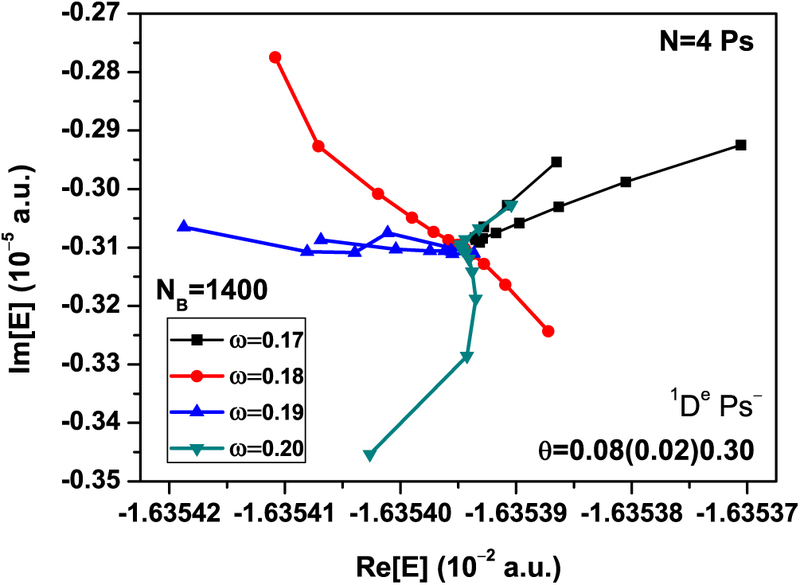 Novel energy levels of electrons at resonance in positronium ions. Positrons are short-lived subatomic particle with the same mass as electrons and a positive charge. They are used in medicine, e.g. in positron emission tomography (PET), a diagnostic imaging method for metabolic disorders. Positrons also exist as negatively charged ions, called positronium ions (Ps-), which are essentially a three-particle system consisting of two electrons bound to a positron. Now, commercially available lasers are capable of producing photons that carry enough energy to bring the electrons of negatively charge ions, like Ps−, to doubly-excited states, referred to as D-wave resonance. Positronium ions are, however, very difficult to observe because they are unstable and often disappear before physicists get a chance to analyse them. Sabyasachi Kar from the Harbin Institute of Technology, China, and Yew Kam Ho from the Academia Sinica, Taipei, Taiwan, have now characterised these higher energy levels reached by electrons in resonance in these three-particle systems, which are too complex to be described using simple equations. 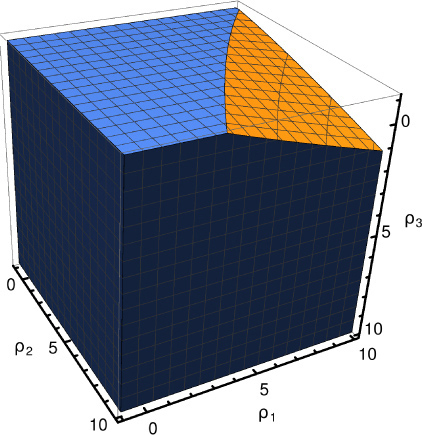 This theoretical model, recently published in EPJ D, is intended to offer guidance for experimentalists interested in observing these resonant structures. This model of a three-particle system can be adapted to problems in atomic physics, nuclear physics, and semiconductor quantum dots, as well as antimatter physics and cosmology. In modern times, assessing the impact of climate change on the vulnerability of radiological practices is necessary to implement risk management policies and secure facilities. Scientific, political and socio-economic aspects of the dossier on plastic pollution solicited by the European Commission. In November 2017, as part of the EU Plastics Strategy, the European Commission (EC) requested that the European Chemical Agency (ECHA) develop a dossier on microplastics' restriction under REACH. REACH is a EU chemical regulation adopted in 2006, and its aims are the protection of human health and the environment. The requested restriction process concerns not only environmental and health risk assessments but is closely related to socio-economic impacts within the union. Therefore, several EU committees, such as the Risk Assessment Committee (RA) and the Committee for Socio-Economic Analysis (SEA) are involved in the examination of the preparatory study submitted by ECHA. The whole restriction process is clearly described by E. Kentin in European Physical Journal Plus (EPJ Plus). Setup recording how sugar chains pass through a funnel-shaped nanopore. 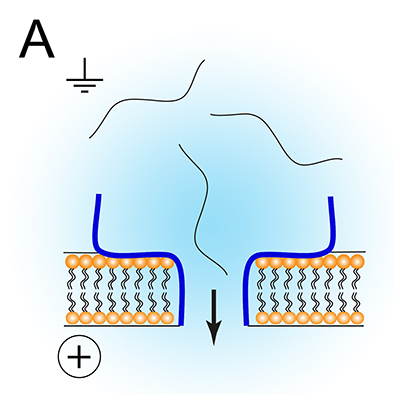 Protein nanopores are present in cell membranes and act as biological gateways. This means that they can also be used for the detection of specific bioactive molecular chains, like sugar chains, such as molecules from the glycosaminoglycan family. The latter are responsible for key interactions at the cellular level. They typically mediate interactions with cell surfaces or with proteins, resulting in the activiation of physiological and pathological effects in embryonic development, cell growth and differentiation, inflammatory response, tumour growth and microbial infection. The use of such nanopores as biosensors requires to fully understand the intricate mechanisms occurring as sugar chains pass through them. In a new study published in EPJ E, Aziz Fennouri from Paris-Saclay University in Evry, France, and colleagues outline the key criteria determining the effectiveness of two types of nanopores in the detection of sugar chains. The Gero Thomas Medal 2018 was awarded to Angela Oleandri for her outstanding and sustained contributions to the development of physics publications in Europe, including her support to the creation and development of the EPJ series of journals and Europhysics Letters (EPL). 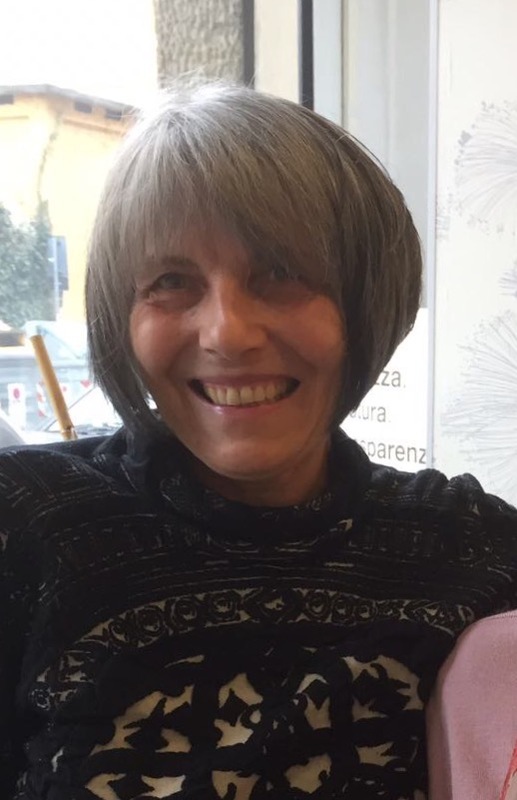 Angela Oleandri was for 20 years a member of the EPJ Steering Committee and the Editorial Director of the Società Italiana di Fisica from 2005 to 2016. 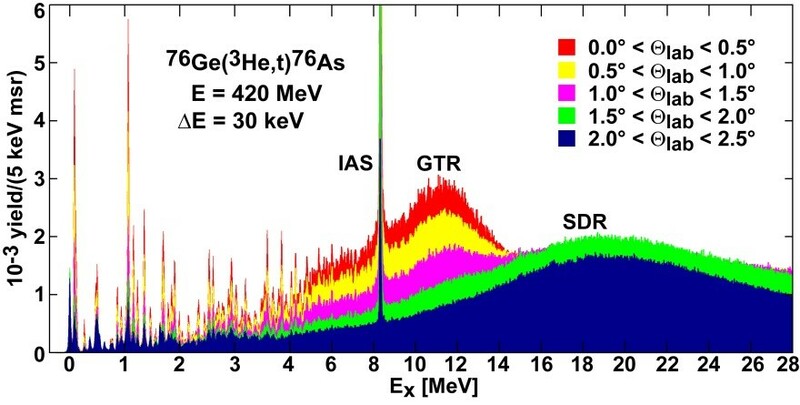 Spectra of the 76Ge(3He,t)76As reaction unveiling an enormous number of resolved states at low excitation energies. Five color-coded spectra are stacked on top of each other showing the angular dependences. The isobaric analog state (IAS), GT resonance (GTR) and spin-dipole resonance (SDR) are indicated. This review highlights the extraordinary power of the hadronic charge-exchange reactions at intermediate energies and at highest spectral resolution, as exemplified by the (n,p)-type (d,2He) and the (p,n)-type (3He,t) reactions. The review shows how areas of nuclear physics, astrophysics and particle physics alike benefit from such enhanced resolution. A major part of this review focuses on weak interaction processes in nuclei, especially on those, where neutrinos play a pivotal role like in solar neutrino induced reactions or in ßß decay. Unexpected and even surprising new features of nuclear structure are being unveiled as a result of high resolution. (See figure). 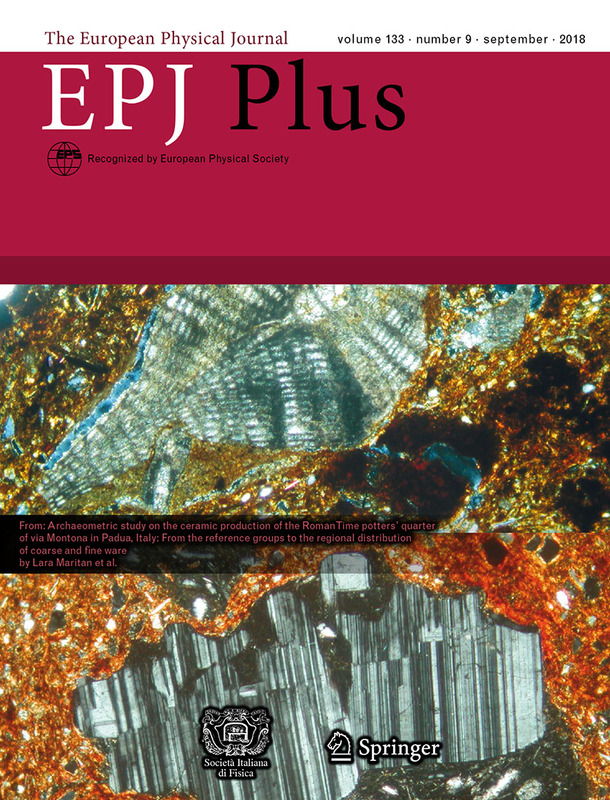 From October 2018 David Blaschke succeeds Tamás S. Biró as Editor in Chief of EPJ A for the section Theoretical Physics II: Hadron Physics and Quark Matter. 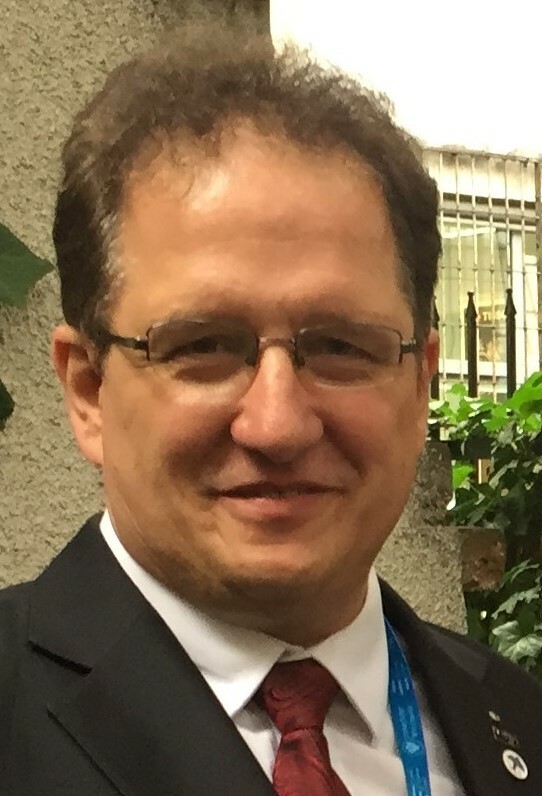 David Blaschke is Professor for Theoretical Physics of the University of Wroclaw and leading scientist at the Joint Institute for Nuclear Research in Dubna. His research interest is in developing quantum field theoretical models of strongly interacting matter to describe the transition from hadronic matter to the quark gluon plasma in the QCD phase diagram. He studies applications of these models to the physics of compact stars, their mergers and to relativistic heavy-ion collisions. Global warming goes hand in hand with increasing instances of climate-related natural disasters such as storms, droughts, floods, and rainfalls. The effects of climate change, beyond having a tremendous impact on ecosystems, are also remarkable risk factors for anthropogenic systems (some examples include infrastructure, agriculture, and tourism). In Europe, flooding events have increased in the last few years, particularly in the Mediterranean region, which has a high climatic risk because of its complex orography and the presence of human activities. In the European Physical Journal Plus, G. M. Contessa et al. analyze the influence of climate change on human activities involving ionizing radiation in Italy. We are grateful to the referees for their very detailed review of our manuscript and for the important remarks and corrections. The referees are very nice experts of the subject of the paper. The manuscript has been revised with our pleasure. Thank you very much for the choice of the referees who were high level experts and kind scientists.